The Denver area was just hit with a seriously damaging hailstorm and some of us are left wondering what our insurance might cover. 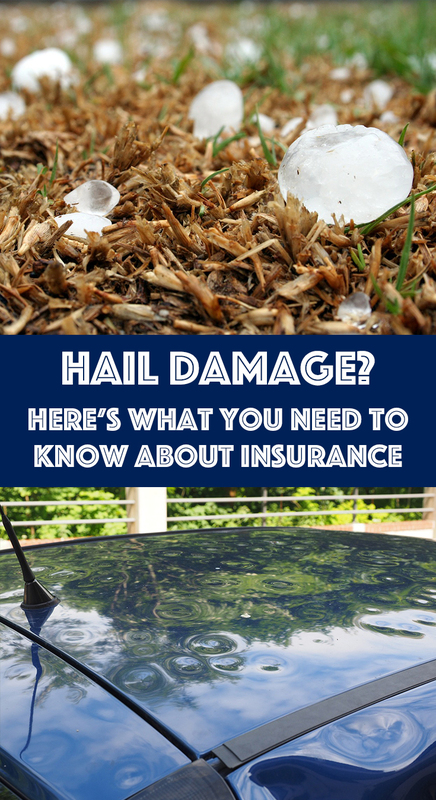 Whether or not you live in Denver, read up all about hail damage and insurance here! Your car can be damaged horribly by hail – even totalled! Broken windows, dented hoods, and even engine damage is possible. It’s important to check your car as soon as you can after the hailstorm and contact your insurance immediately after. Your house can be damaged in many ways by hail. You may see damage on your roof, your siding, your windows, and in your yard. If you have damage, call your insurance company. They will send an adjuster to assess the damage and determine the cost of repairs – you also may be able to set up this appointment yourself, if you’d like. Almost all basic homeowner’s insurance will include hail damage insurance. But keep your expectations in check. For cosmetic damage, insurance will likely not cover it. They will be focused on structural and functional issues. And don’t forget one area of damage you should remember to talk to your insurance about – any fallen trees in your yard. It can be a hefty cost to pay for the removal of these trees or other debris and your insurance may just cover it. So be sure to check with them! Bottom line, always file a claim! Instead of assuming something won’t be covered, always double-check so that you won’t be saddled with unnecessary costs. Good luck! And next time you’re looking at car insurance or homeowner’s insurance, think about the potential future costs of hail damage!